Lower back pain has reached epidemic proportions in the western world and is the most common complaint treated by Osteopaths. Research shows that 60% of the UK’s population will suffer from it at some stage during their lives. Back pain responds well to osteopathic treatment – reducing pain and restoring mobility and quality of life. Back pain can be caused by repeated poor posture, stress, overstrain, wear-and-tear, disc injuries as well as various diseases. It can cause pain or other symptoms in other areas which may be triggered by irritation of the spinal nerves. This is one example of “referred” pain, caused by the irritation of the sciatic nerve. This is the longest nerve in the body and affects a large part of the leg. This is normally the result of a low back problem. 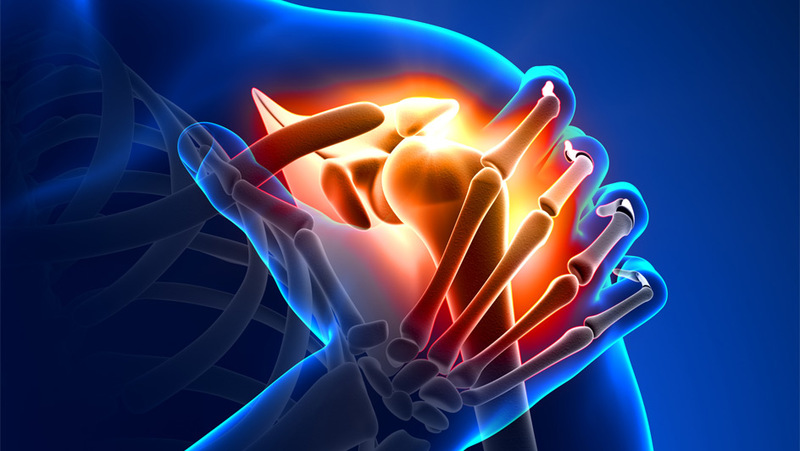 Unfortunately, shoulder problems are quite common and cause variable amounts of pain and limitation of movement. This is sometimes brought on by long term poor posture, but can be more of an acute episode through a specific strain or injury. Sometimes the cause is unknown. It can respond well to treatment, but occasionally can lead to pain and disability lasting up to 2 years and may require other intervention. These are often caused by poor mechanics in the neck, aggravated by stress, poor posture, wear-and-tear etc. Normal wear-and-tear of joints associated with aging or excessive use is known as Osteoarthritis and can affect a number of joints. It eventually leads to restriction in movement and variable amounts of discomfort or pain, which can interfere with everyday activities. Osteopathy can’t reverse the physical changes but can, in most cases, offer relief from pain and provide greater freedom of movement. Osteopathic treatment can do a great deal to reduce pain, ease swelling and improve mobility and range of joint movement. There are many popular misconceptions about arthritis. For example: ‘Degenerative change on x-rays means that nothing can be done. Pain killers or anti-inflammatories are the only answer’. In fact, joint wear and tear is normal after the age of 35 and does not necessarily mean you will have any symptoms. 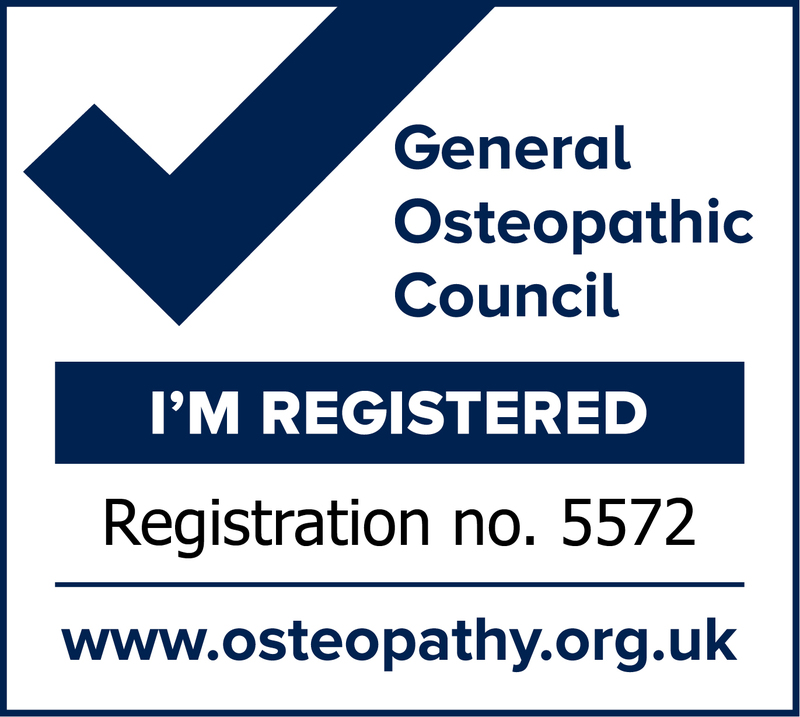 The osteopath may well require x-rays, blood tests or even MRI scans to assess the extent of your condition. Treatment is not painful and, often, symptom relief begins immediately. The stresses and strains imposed on the musculo-skeletal system during pregnancy are considerable. They vary according to the frame and make-up of the mother, the size of the baby, how the mother “carries” the baby etc. Problems become worse in the latter stages as the ligaments relax in preparation for the birth process. 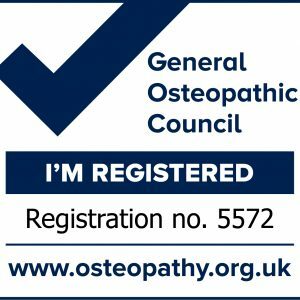 Often much relief can be given by appropriate Osteopathic treatment and advice. Chronic muscular tension can result in a lot of discomfort and nagging pain. This is often the result of poor posture which sometimes can be hard to change. Also, many people don’t use pillows properly so their neck is not supported correctly whilst sleeping, causing pain and stiffness in the mornings. However, it is never too late to try to alleviate these problems and helpful advice will be given. If there is wear-and-tear in the neck, this will inevitably lead to restriction in movement and discomfort but suitable treatment on a more regular basis can usually help to minimise the symptoms. Many of theses are of an obvious cause, but often pain can come on “out the blue”. even when people are doing their normal sporting activities. 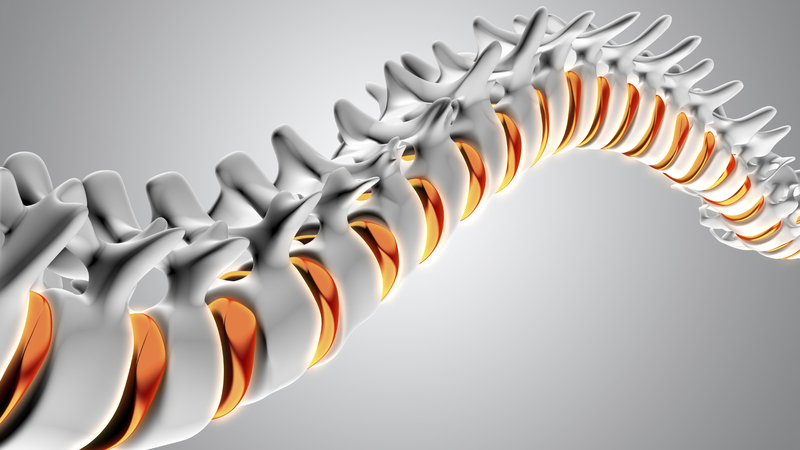 Osteopaths can assess their body mechanics and correct areas of restrictions. These may have been causing their bodies to over-compensate, making them more susceptible to injury. Also, advice on training and especially stretching exercises can make a vital impact on performance and reduce the risk of injury. Sport should be an enjoyable and rewarding activity. 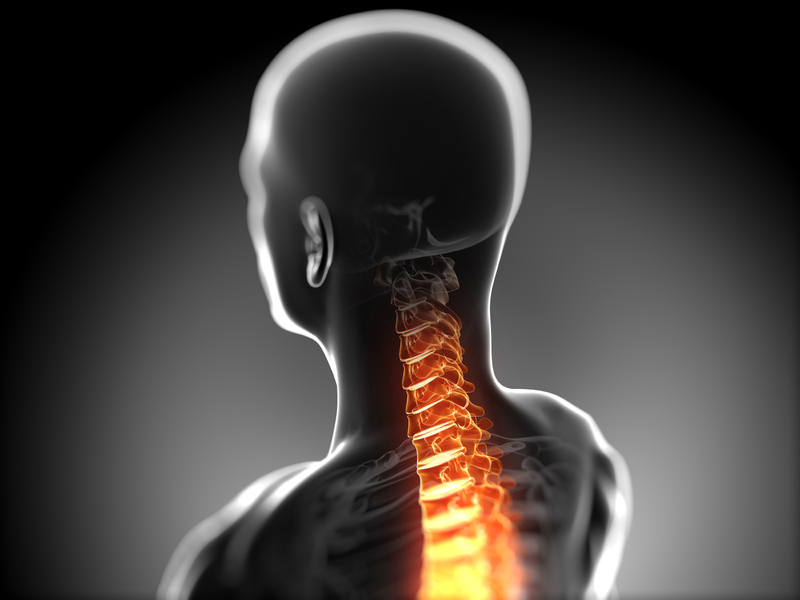 Whiplash is caused by uncontrolled sudden movements of the neck, usually in a forward/backward direction and most commonly associated with car accidents. It affects the tissues of the neck to varying degrees depending on a number of factors, but can also cause problems to other parts of the body. IBrian graduated from the British School of Osteopathy in 2004. Since graduating Brian has continued with postgraduate study in cranial and classical Osteopathy as well as being involved in a local osteopathic group, holding regular meetings and lectures from other related healthcare professionals. “Brian was extremely effective in the treatment he provided. He managed where others have failed to alleviate an ongoing back complaint which now only needs occasional visits. As an Optician I work long hours standing on my feet which had recently started causing me a lot of back pain . I decided to contact Brian at Queens way Osteopathy , he promptly arranged to see me for an initial consultation. He recommended that I should have approximatley 3 treatments. He also advised me on a few excersises to help me relieve the pain at the end of a busy day. I felt 50% better after the 1st treatment . After the 3 treatments I was completely pain free and was amazed at the results Brian had achieved. I would highly recommend Brian at Queens way Osteopathy for anyone suffering in Pain , he has the neck in making sure you are pain free. “I would not hesitate to recommend Brian to any of my Fiends, family & business associates. I wanted to thank you for my recent treatment sessions. I was originally bit sceptical when you stated that you could help me as a runner. Even the kindest of people would say that I am no athlete. However, we kept track of how my running was going from the start. Sure enough the time it was taking me to run 10k was coming down from initially 1hour 7minutes to my last run which was 59minutes and 35 seconds. My time had come down by more than 10%. You are now helping me to improve my running pattern and I am sure that my time will improve even further. Before the treatment sessions, I did not know the cost of an Osteopath treatment. I am pleased to say that I now know the value even to “an average Joe” like myself. “I want to thank you for the recent treatment you gave me for my back injury. I was in totally agony and my back had spasmed up making me unable to carry out my work and normal day to day activities. I have so far come to see you twice and on the second visit I arrived with severe pain and unable to climb your stairs to your treatment room. When I left I was able to walk upright and carry out my normal day routine pain free and without restriction. I know I need some more treatment but I wanted to thank you for the magic you have worked on my back injury. “Since going to see Brian, he has made such a difference to my physical well being. Brian is very professional and his knowledge is second to none.